We hold expertise in the field of manufacturing and supplying excellent quality range of Luxury Outdoor Garden Umbrellas that are designed for the resorts, swimming pool and farm houses to create luxurious surroundings and delight the visitors with cool shade. These umbrellas are rigorously tested on various quality parameters to ensure flawless range at users end. Furthermore, the offered umbrellas are highly appreciated for their high strength, optimum quality and corrosion resistance.We bring forth a smart and sophisticated collection of Luxury Outdoor Garden Umbrellas. 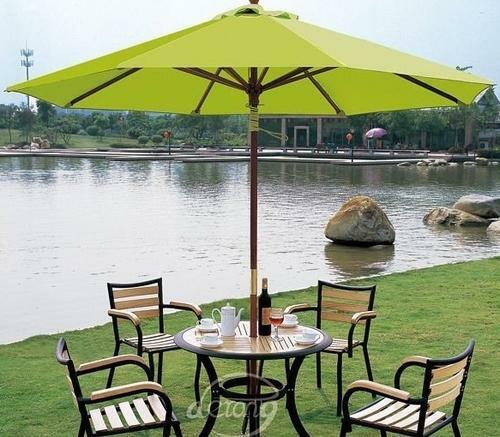 Used in garden, this umbrella is designed by our skilled designers at par with the international standards. This umbrella is designed from top notched quality basic material and modern technology to ensure its flawlessness at clients' end. Moreover, our offered umbrella is tested on various quality parameters. We offer this range at market leading prices.